"Leagues ahead of its major league counterparts. " - Bullz-Eye. 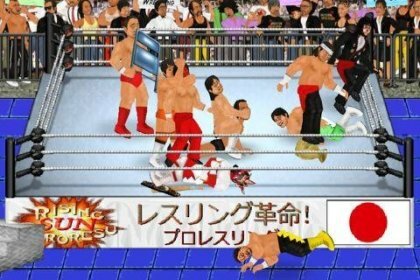 Gaming's biggest wrestling universe is back and bigger than ever - now featuring over 350 characters and as many of them in the ring as your device can handle! And the revolutionary touch-screen controls are as satisfying as ever, as you tap, pinch, and swipe for intuitive fighting.